Garrison commander Col. Neal Corson, left, and Stuttgart Tax Center leader Capt. Robert Duffie cut the ceremonial ribbon, officially opening the center for business, Jan. 28. 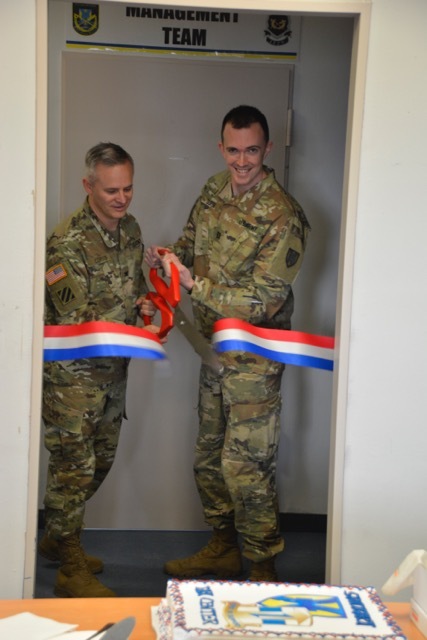 The Stuttgart Tax Center opened on Jan. 28 and is now available to prepare 2018 tax returns for eligible active duty service members and dependents, DoD/DA civilians and dependents, military retirees and dependents, and contractors with legal services privileges with total gross incomes of under $54,000. Capt. Robert Duffie, attorney and officer in charge of the Tax Center, introduces his team to Col. Neal Corson, commander, USAG Stuttgart, Jan. 28. Capt. Robert Duffie, the Army attorney who leads this year’s team of IRS trained and certified tax preparers, reminds potential clients that with few exceptions, there are no appointments. Clients are received on a walk-in, sign-in basis. The center uses a mixture of volunteer military and civilian certified tax preparers. Just follow the arrows to the Tax Center sign-in and waiting area. Some of the delay in getting taxes done is awaiting additional tax documents, such as college expenses, student loan statements, additional 1099s, etc. Duffie explained the distinction of the traditional April 15th tax filing deadline and the overseas extension: April 15 is the day any due taxes must be paid to avoid interest and penalties, whereas June 15 is simply the late filing deadline. 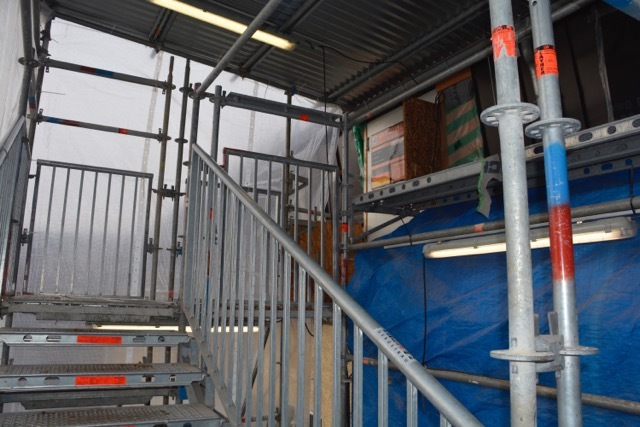 Find the entrance to the Tax Center at the top of a stairway encased in scaffolding and plastic sheeting. The SLC is still in the throes of a lengthly construction project that includes the addition of an elevator. 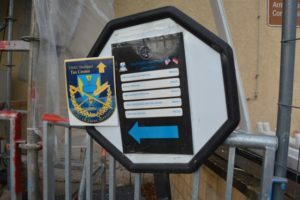 The front entrance is still closed off; the back door can be found by climbing a metal stairway enclosed in plastic sheeting that keeps the construction dust and the elements to a minimum. Once inside, take a left away from the interior construction and follow the many arrows indicating where to go to sign in for tax preparation–if you’ve ever signed in for legal services at the SLC, it’s that waiting room. The tax center itself is in the opposite direction, to the right after entering. 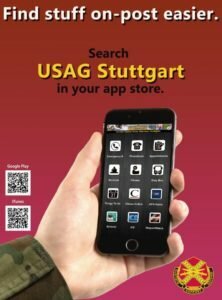 Contact the Stuttgart Tax Center at 421-421-1420 or 0711-729-1420, or email usarmy.stuttgart.21-tsc.mbx.tax@mail.mil.